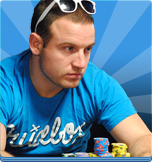 Daniel O'Brien began his poker career as a freshman at the University of Maryland at College Park. After graduating and working as a trader on Wall Street for a year, he decided to move out west to pursue the game he loves. Since making that decision in 2007, he has amassed over $1.9 million in tournament earnings, as well as consistently beating no-limit hold'em cash games. He has made four WSOP final tables, two WPT final tables, and won the inaugural MGM Grand Challenge Main Event. He is widely regarded as one of the most elite players in poker, and regularly competes in the biggest tournaments in the world. This Hand-Pack includes 14 hands illustrating key concepts necessary to win in low-limit cash games. Not only will you learn the correct plays to make, but you'll get to see the reasons and thought processes behind each move. Some of the hands are straight-forward but some require deep thinking and tradeoffs that even pros may argue about playing optimally. This 15 hand Hand-Pack takes you through critical hands played in the 2012 WPT LA Poker Classic with in depth analysis into key decisions. We go through three days of the event, from early to middle tournament stages, experiencing increasing blind levels, pre and post-ante play, and deep and short stack decision making. We play a number of hands from day two, sitting at the live featured table with some of the top pros including Jason Mercier, Erick Lindgren, and Matt Berkey. You'll get to experience the situations first hand, and not only learn all the right moves, but learn why every move is made so you can incorporate high-level poker thinking into all aspects of your game. A must have if you want to start thinking like the pros! Every week Dan releases an educational hand for you to enjoy for free! 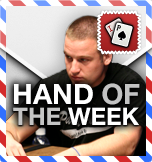 Be sure to check back each week for a brand new hand. 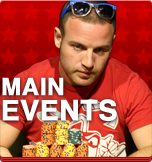 Learn the ins and outs of high-stakes tournament play. This Hand-Pack covers several important concepts including aggressive pre-flop moves, tricky post-flop scenarios, adjusting to the mix of amateurs and top pros, and how to play varying stack sizes, including how to best utilize a big stack. 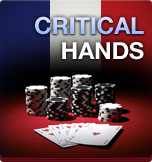 Play 32 critical hands from all stages of the $10,000 buy-in 2012 Partouche Poker Tour Grand Final in Paris, France, where Dan O'Brien finished in 4th place for over $500,000. 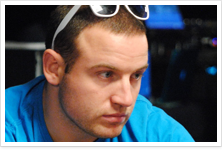 See how Dan navigated through the tough field of 573 players, all the way to the final table.